Last year, Balkrishna Doshi became the first Indian to receive the Pritzker Prize. Now, the first international retrospective of his work is opening in Germany. The breadth of architect Balkrishna Doshi’s work ranges from private residences to entire cities. His approach sits between the industrial and the vernacular, recognised for taking the often sweeping and generalised principles of modernist architecture and adapting them to local nuances, traditions, resources and natural environments. While growing up, Doshi was inspired by various figures of the Indian independence movement, from Mahatma Gandhi to Rabindranath Tagore. As his career developed, he came to collaborate with the likes of Le Corbusier and Louis Kahn. 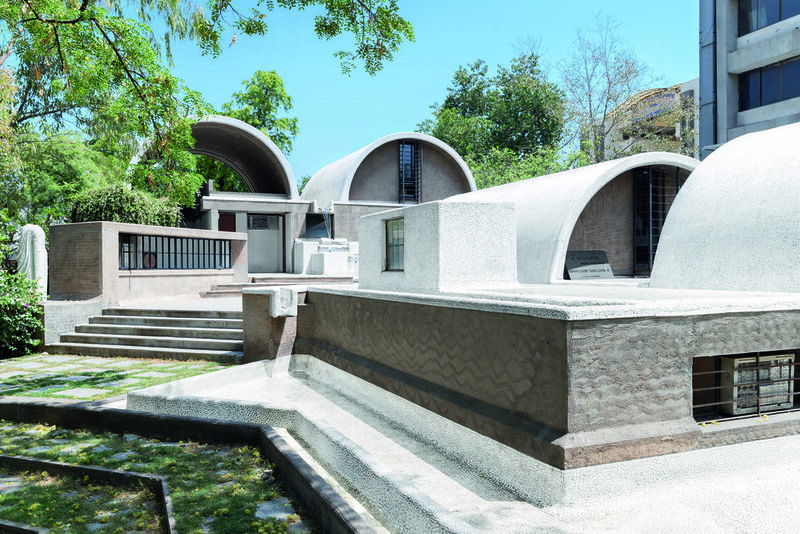 Over the decades he has built a name as a leading figure in sustainable modernist practice, rooting his architecture in the Indian context, while offering lessons to the wider world. Last year – at the age of 90 – he became the first Indian to win the Pritzker Prize, the highest international honour for an architect. An exhibition that opened last week at the Vitra Design Museum in Germany is a vast retrospective of Doshi’s work –the first to take place outside India. 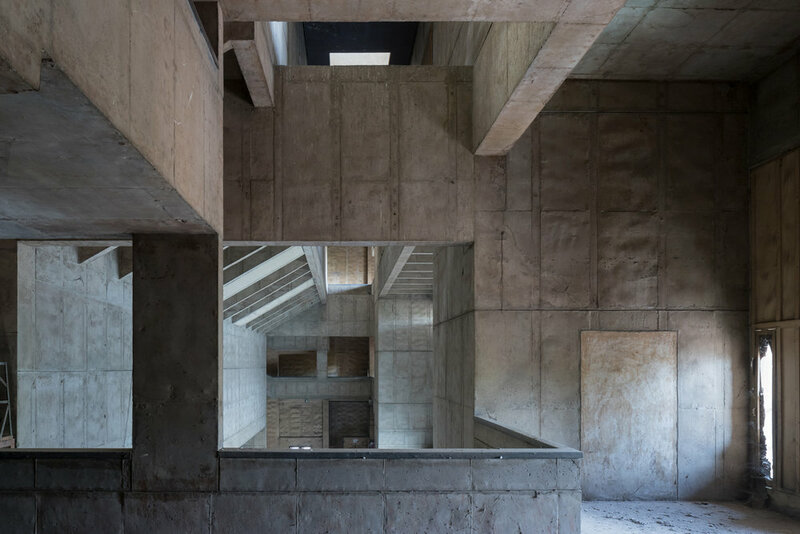 It presents numerous projects carried out between between 1958 and 2014, all of which illustrate the richness of Doshi’s poetic yet functional architectural language. The Ahmedabad School of Architecture is an example of Doshi’s work in the educational sector. The building was designed as a free-flowing space without segregation, in order to foster interdisciplinary exchange and dialogue. The school is thought to have changed the face of architectural education in India and is today one of the country’s most important centres for urban planning. Other major public institutions that Doshi has built include the Indian Institute of Management in Bangalore, a think tank that has arguably contributing to India’s emergence as an economic power over the last decades. The courtyards of the campus are designed as large gardens, while its corridors function as interactive pockets of spontaneous communication. Pergolas and the greenery fringing the corridors transform the space through the changing light over the course of the day. Doshi’s work is also highly committed to bringing about social change, as exemplified by the Housing Development for the Life Insurance Corporation of India and the Aranya Low Cost Housing project. The latter was a model project built to allow inhabitants to customise their homes and adapt them to their needs and economic possibilities, with electricity, water and plumbing services provided; today the complex houses over 80,000 people. Doshi’s work in large-scale town planning include Vidhyadhar Nagar, an energy-conscious development for 150,000 homes on the outskirts of Jaipur in Rajasthan, and his work with Swiss architect Le Corbusier on the city of Chandigarh, commissioned by Jawaharlal Nehru as India’s new, post-independence capital.